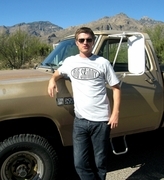 Materials and Design: No matter how small the product, Big Skinny's team of creative designers are committed to making smart designs using high-tech materials. 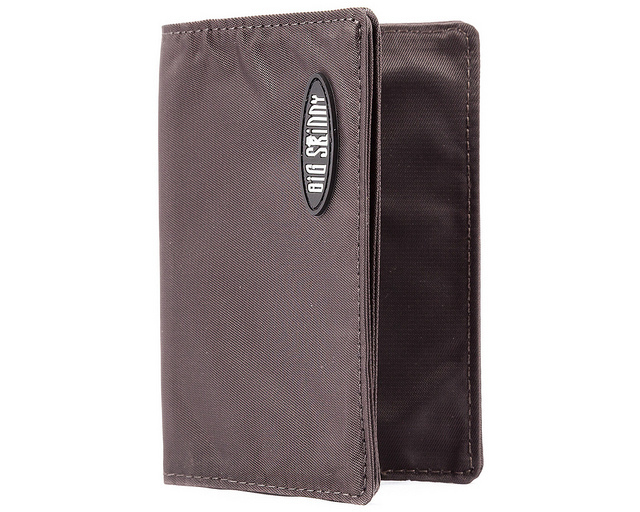 This thin card wallet is great for storing business cards or paper cards, but it's also capable of storing large volumes of thick plastic cards. 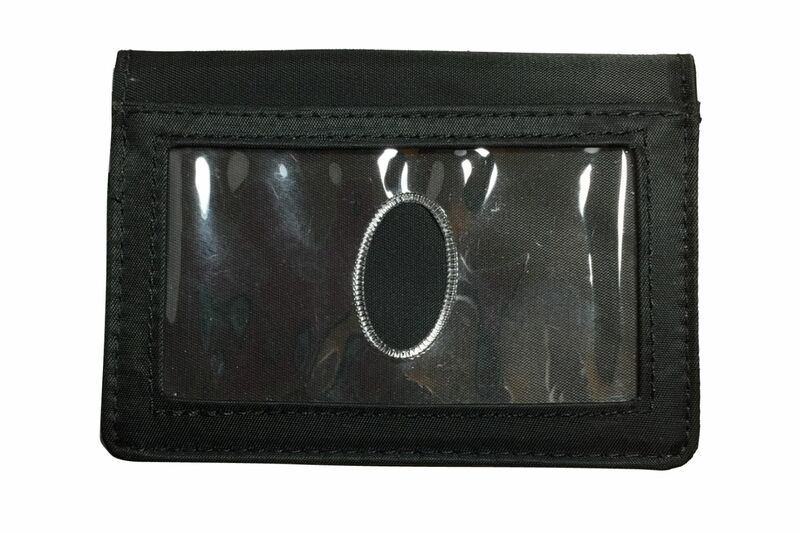 By using nylon microfiber to craft the pockets, interior and exterior walls of this card holder, our designers have made this wallet one of the thinnest in the world. 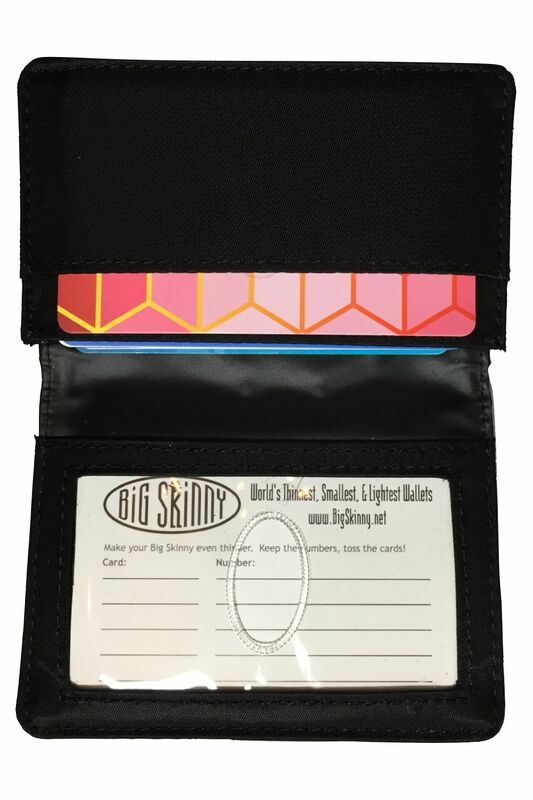 Now if you're planning on carrying paper cards, you might be worried about water damage and spills given that this is a fabric wallet. Well, you can put those worries to bed, because the other benefit of making this product out of nylon microfiber is guarantee waterproofing. 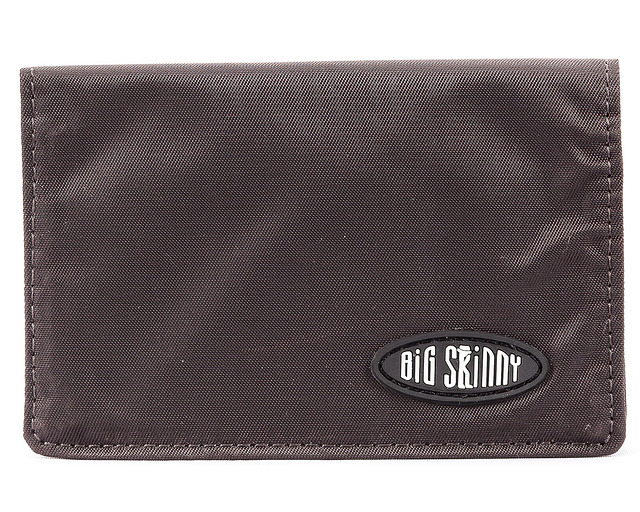 Drop it in a puddle, spill your morning coffee on it-do you worst, this wallet will still keep your goods protected. 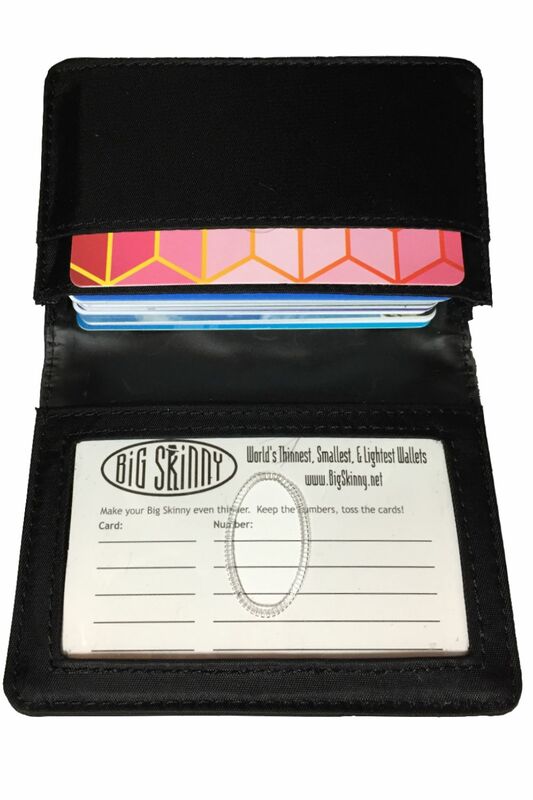 Card cases are generally small and thin in size, but once you start packing in the cards, most card wallets will lose their slim shape. This isn't a problem for the Big Skinny Thin Card Holder. 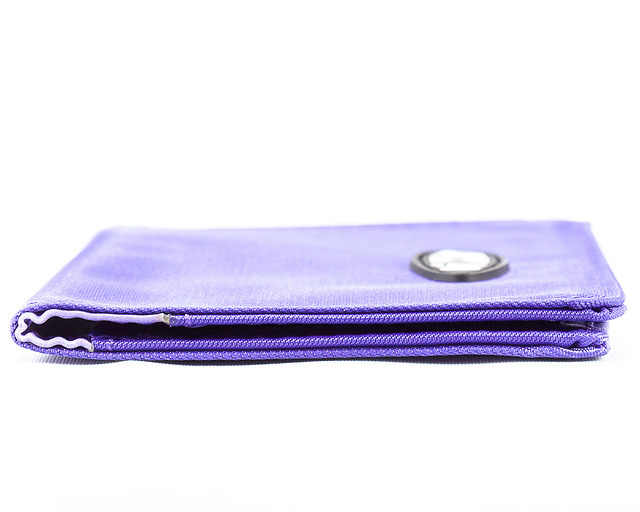 Our smart pocket layout design allows it to keep the profile of your wallet thin and compact even you fill it to its maximum capacity. 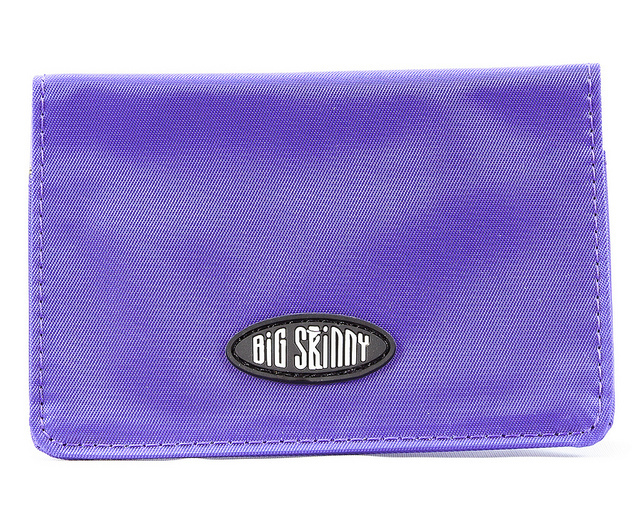 Holds plenty of business cards for hand out yet takes up a small space in your purse. This is my 5th purchase. I can get a lot of cards in it and it isn't bulky. I like them a lot. I've been using this as a wallet for year. I love it. I'm on my second one in about 5 years, replaced because the first one was stolen. When I get caught in the rain on the motorcycle I don't panic about my wallet getting ruined. I've accidentally ran it through the washer (more times than I care to admit). 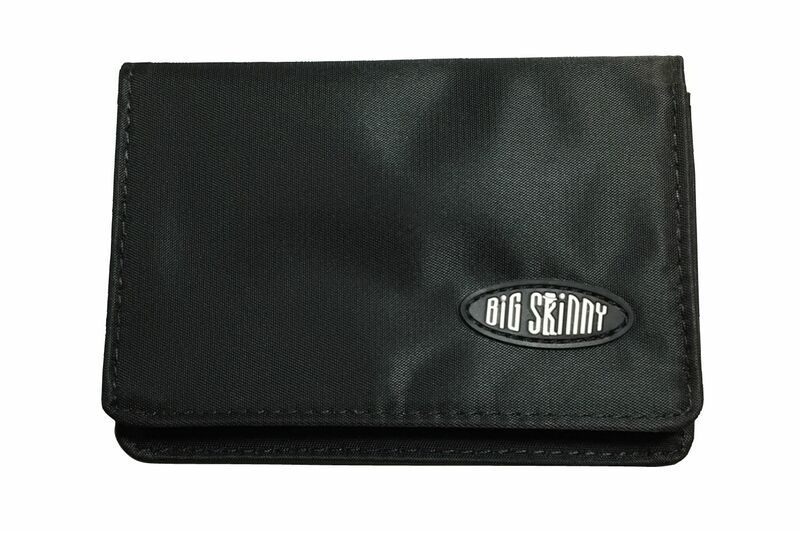 Whenever someone sees how slim my wallet is they are always impressed and want one and want the details of where to get one too. It fits into any with women's pants pocket I've tried. I think that is a miracle in it self, seeing as women's clothes are notorious for tiny pockets. It fits along side my concealed gun in my vest pocket without extra bulges. The only downside is trying to carry cash money, not something I do on a regular basis. 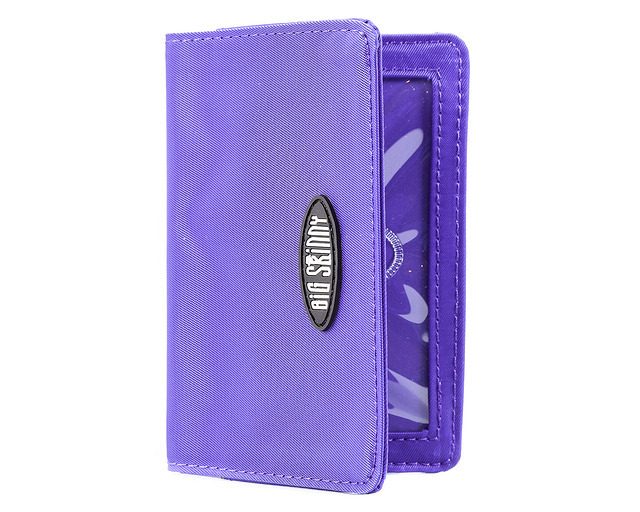 Anything more than about 10 folded bills and the wallet becomes thicker and bulkier. The best fold for American money is folded in thirds so it makes everything thicker. ConsHas a hard time hold large amounts of bills without becoming bulky. 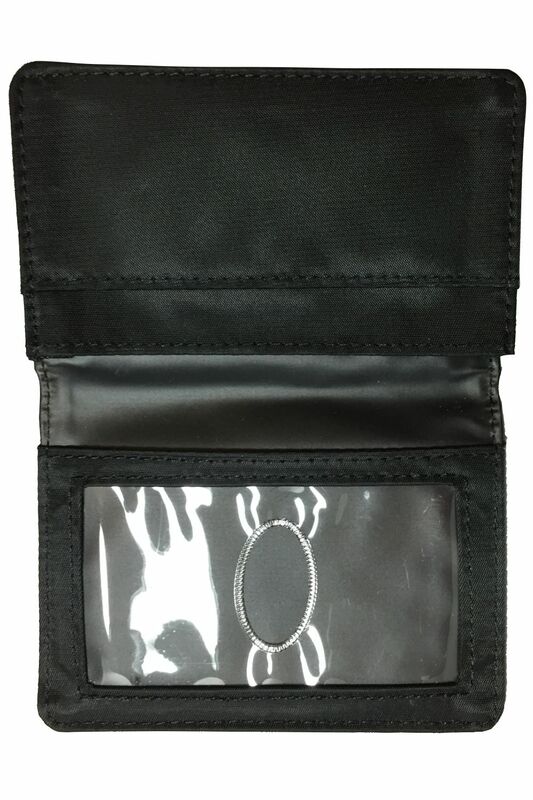 This is perfect for keeping credit cards. Loads of room and no matter how many you put in, it's still 'skinny'. Already had one, this one was for wife. Holds lots in small space & extremely light weight. ProsCompact, light weight, & holds a lot. Amazing! Holds everything I need & more! I was never a fan of small wallets because I keep a lot of papers and receipts. But I wanted a small wallet that is not bulky and can fit into my new small purse. Tried this one- amazed at how everything fits- cards (15 cards, cash and some recepits). Not as happy as I was with my zippered wallet. Just the style. I should have returned it. Maybe I have too much stuff in it. It doesn't stay folded. ProsLove the material! It's very strong, yet light...well made. The colors are nice too. Wonderful ....excellent ....bought 3 I'll be good for awhile !! Was exactly the size wanted and another quality product. Perfect for front pocket and not bulky at all. Best wallet and business card holder I have ever had!! ProsEasty to get out of pocket. East to remove business cards ! !